Friend’s dog for a costume contest that no one showed up to. I still think she’s the winner. Nobody else showed up? That’s rude. Her costume is adorable, though. I see, i see, a yo-yo! It is under the sofa. Why should up if you already know the winner? omg im laughing so hard at this. She is the winner, give this girl her trophy. We’ve been sent good weather, which I receive with joy. It could have been worse…she could have showed up in costume and been the only one! But grandmother, what big eyes you have! This makes me so sad and happy at the same time. Awww that’s too bad no one showed up, but your friend’s dog is so adorable! Best idea ever!!! 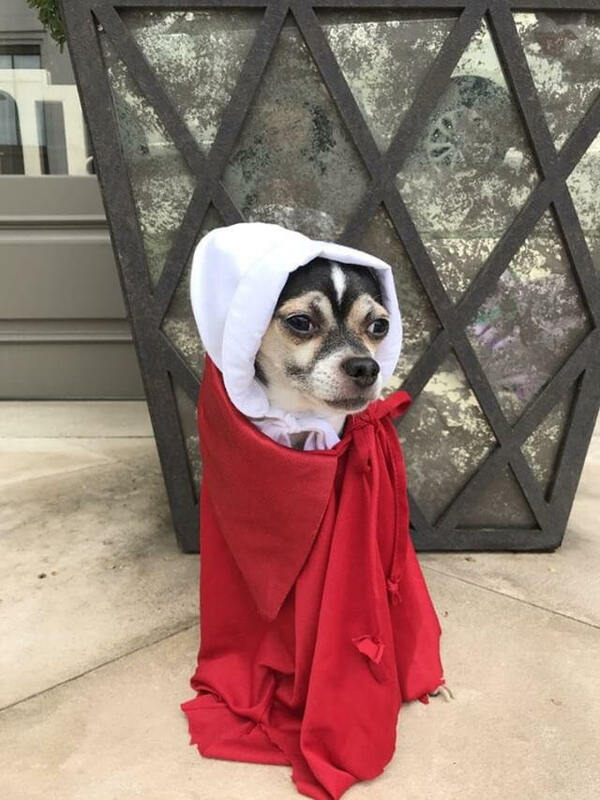 Blessed be the dog! My SIL’s kitten is such a weirdo.